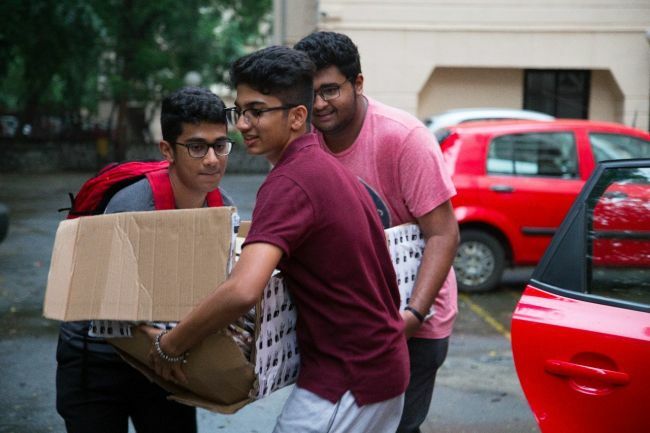 Six students studying in class 12 are on a mission to make Powai plastic free by replacing plastic bags with paper bag. Amidst the cluster of stalwart tall buildings, situated on the banks of the beautiful Powai lake and hills of Vikhroli Parksite, there is a growing concern of plastic waste hampering the environment. 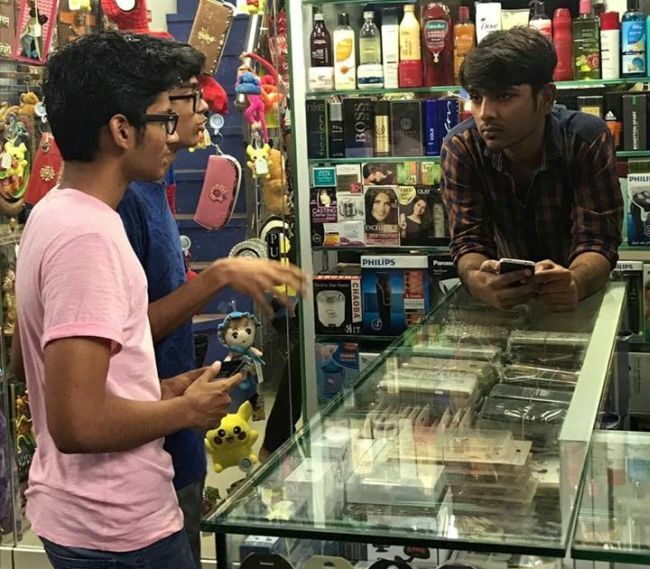 Well aware of the fact that Mumbai generates nearly 700 metric tonnes of plastic waste daily, 17-year old Shlok Babu, a resident of Powai took the decision to address the growing problem by tapping the largest market of plastic item- polythene. 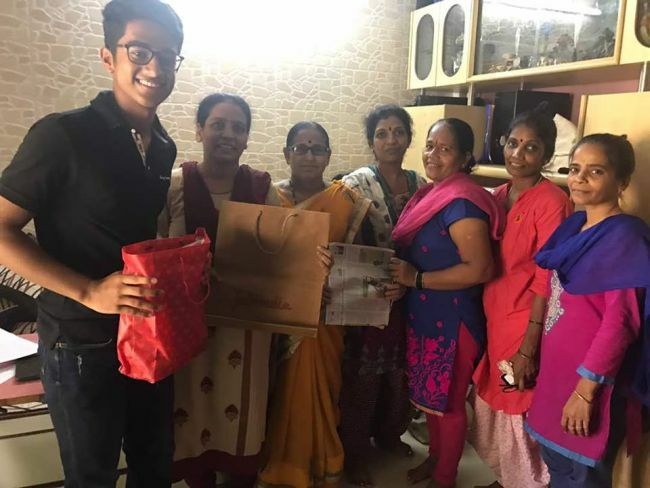 With an aim to replace polythene bags with paper bags in Powai, Shlok gathered his childhood friends and started an initiative titled ‘Plastic Free Powai’ about a month ago. Highly passionate about the subject of global warming, Shlok believes that vendors are an integral part of the plastic business. “Though the issues of waste management are often raised, usage and disposal of polythene bags are relatively untapped in most parts of the urban areas and with the aim of generating awareness among the vendors I started the campaign,” says the 12th grade student. The campaign aims to replace plastic bags in all shops of Powai and vegetable markets with paper bags in next three months. After spending almost a month on studying the pros and cons of replacing plastic bags, the boys designed a cost friendly model and got in touch with Mahalaxmi Mahila Mandal, a local Self Help Group (SHG) to get paper bags at cheap rates. The reason why we are drowning in plastic bags is its highly cheap cost. We wanted to procure paper bags at a rate which has the same cost as the plastic bags if not cheaper, so we came up with a two plan strategy – one was to approach a SHG and the other was get raw materials without having to spend much says Shlok. 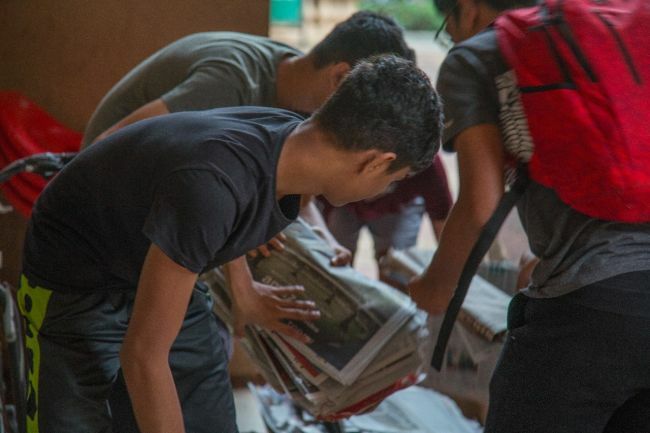 To acquire paper, the group started the ‘Raddi Collection Drive’ and approached nearly 12,000 households requesting them to donate their newspapers to them instead of giving it to the local scrap dealers. While campaigning from door-to-door the boys made sure that they make every citizen aware about the harmful effects of using plastic bags, “Since most of families in the area are well-to-do, they agreed to donate newspapers for the noble initiative,” adds Shlok. 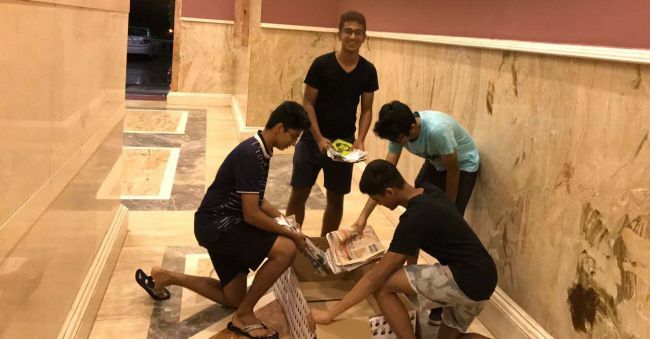 The boys have placed huge boxes in three societies consisting of 500 flats each and in last one month and they have managed to collect enough newspapers to sustain their project. The newspapers have been exported to the SHG in Bandra and nearly 20 women have started to work on making paper bags. Along with educating the residents of Powai, the waste warrior team didn’t fail to tap the local vendors. Explaining the vendors about the viable option of paper bags the team told them about the environmental and economic benefits of switching to these bags. Though it’s only been merely a month since the initiative started, the team has managed to convince 6 local vendors to switch from plastic to paper bags. “Since the concept of paper bags is quite new, the vendors were hesitant at first. However 6 vendors out of 15 agreed to switch. We are hopeful that in coming few months we’ll be able to integrate this movement in the whole of Powai,” says Shlok. To ensure the durability, the paper bags will be coated with either foil or paper butter. The bags will be able to carry a weight of eight coconuts says Shlok. In Phase I, the group aims to target the vendors sitting in the vegetable markets and in Phase II, the team will approach the local shops. In order to sustain the model, the boys plan to get sponsorships in future from various local business organisations. The group’s work has managed to get noticed in the neighbourhood and got support from influencers like, Member of Parliament Poonam Mahajan who has extended her moral support to the cause. “With a backing from Ms Mahajan, our initiative has got credibility,” adds Shlok. While the initiative is a brainchild of Shlok, his other team mates are important cogs in the wheel of the ‘Plastic Free Powai’ initiative’s operations. S M Vikram, one of the team members, has made the campaign popular among youngsters through social media. From acquiring Residential Welfare Association’s support to getting sponsorships, rest of the team members – Vedant Manavat, Pranav Erinjery, Aneesh Patil and Gautam Anil have immensely contributed to give a strong foundation to the campaign. The aim of the team – after Powai make the whole city plastic free. Previous Post: This Mumbai College Sets A Positive Example By Saving 840 Kgs Of Waste That Could Have Ended Up In The City’s Dying Landfills. Next Post: Meet This Inspiring Mumbai Couple Who Started Their Journey Of New Life By Going Green On Their Wedding Day.